Satnavs tell you where to drive, so it was only a matter of time before they started telling you how to drive too. And someone’s just gone and launched one in the UK. With a twist though. 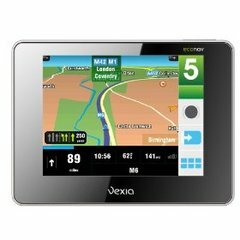 Econav fixes on your car’s dashboard like a TomTom or other standard satnav and tells you how to drive in most efficient and eco-friendly way possible as well as where to go. That means a) it’s better for the environment and b) you save more fuel. Select the make of car you own from the Econav’s 8000 strong database and it sets up the sat nav up so it can accurately tell you which gear you should be in and if you’re accelerating or braking excessively. It also has an inbuilt speed limit warning. This reminds me of my mum. But the Econav, unlike my mum, then measures how much fuel you’ve saved by following the good driving recommendations and presents you with a Econav Report. Econavs were initially launched in Spain by creators Vexia but their new versions will be available in the UK as well.